Delectably sweet & surprisingly rich. The French Vanilla blend is a sophisticated treat to make your mornings more amazing. Convenient to make and easily customized to your personal dosage, enjoy a steaming cup of French Vanilla instant cappuccino to help lower stress levels & promote relaxation. Price is per tea bag. Each bag contains 60mg THC and 6mg CBD per serving. 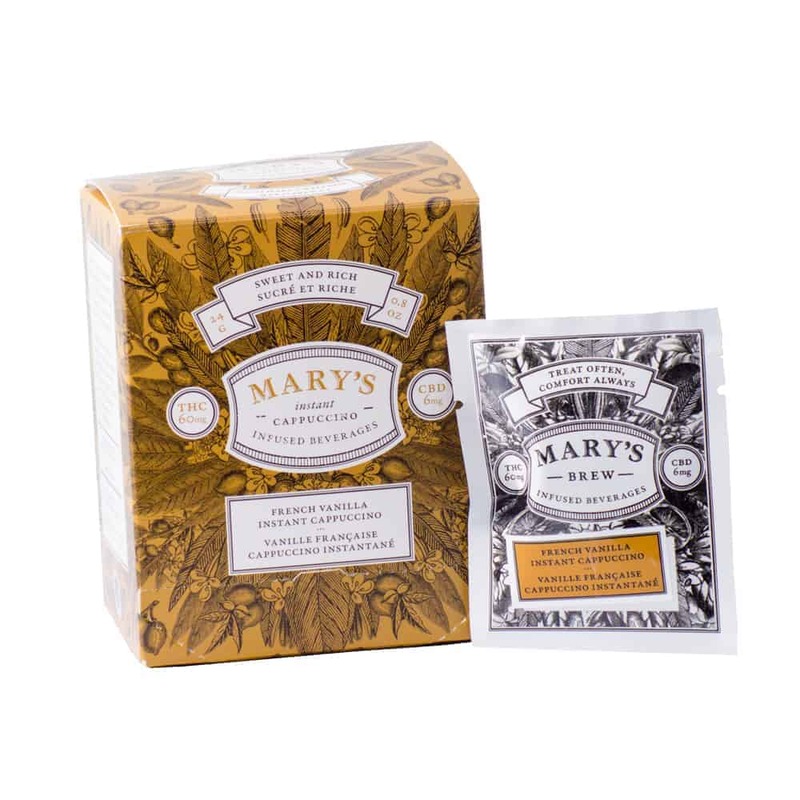 2 reviews for "Mary’s Infused Beverages – French Vanilla Instant Cappuccino"
Mixed this with my coffee, very sweet. This instant French Vanilla tastes great in a cup of coffee! Perfect for relaxation after a long day!